23 July 2013- The 56 clubs that participated in the 2012/13 UEFA Europa League campaign received payments worth more than €200m as a result of UEFA's revenue distribution system. UEFA distributed a total of €209m to teams playing in the UEFA Europa League last season. The revenue generated by the centralised marketing of the UEFA Europa League – plus an additional €40m contribution from the UEFA Champions League club share – was redistributed among the 48 clubs taking part from the group stage onwards, as well as the eight sides that joined in the round of 32 after coming third in their UEFA Champions League groups. Chelsea FC, the eventual winners, earned just over €10.7m after entering the competition in the round of 32 and proceeding to lift the trophy with a 2-1 victory over SL Benfica in Amsterdam in May. Benfica received around €5.7m for their own dramatic run, which also began at the start of the knockout phase. Each of the 48 teams in the group stage were entitled to a basic participation payment of €1.3m. Performance bonuses amounted to €200,000 per win and €100,000 per draw for each participant in the group stage. Olympique Lyonnais came closest to achieving maximum profit from their group programme, with figures of five wins and a draw yielding €1.1m (on top of the basic group stage payment). In addition, there were qualification bonuses available: first place in the group was worth €400,000, with €200,000 for each runner-up. Every side involved in the round of 32 netted an extra €200,000, with further progress through the knockout section being rewarded by payments of €350,000 for advancing to the round of 16, €450,000 for the quarter-finals and €1m for the semi-finals. Chelsea gained an additional €5m for winning the Amsterdam ArenA final, and Benfica €2.5m for finishing as runners-up. Furthermore, €83.5m in prize money came from the television market pool. Half of that (€41.75m) was shared out according to a variety of factors, including the proportional value of an individual club's national TV market and a club's performance in the previous season's domestic competitions. The other half was divided into six pots, one for each round of the competition. These pots, increasing in size from the final (€1.67m) to the group stage (€16.7m), were then distributed, depending on the value of the domestic markets, between the national associations represented in each round. For associations with more than one representative, the share of each pot was split equally between the clubs concerned. Tournament winners Chelsea banked more than €3.7m from the market pool and around €7m from participation, performance and match bonuses. UEFA has released details of the revenue to be expected from this season's UEFA Europa League. Based on sales to date, gross commercial revenue from the 2012/13 UEFA Europa League is estimated at about €225m. Some 75% of the gross revenue from media rights and commercial contracts will go to the clubs involved from the group stage onwards, with the remaining 25% reserved for European football and staying with UEFA to cover organisational and administrative costs. Based on that gross income of €225m, the share for distribution to the clubs will amount to €168.75m. In addition, the UEFA Executive Committee has approved a further contribution of €40m to the UEFA Europa League club share, with funding provided by the UEFA Champions League clubs and UEFA shares – meaning a total net UEFA Europa League club share of €208.75m. The net amount available to the participating clubs will be split – €125.25m in fixed payments, and €83.5m in variable amounts (market pool) which will be distributed according to the proportional value of each television market represented by the clubs taking part in the UEFA Europa League (group stage onwards). Each of the 48 clubs that feature in the group stage can expect to receive a group stage fee of €1.3m. There will also be performance bonuses of €200,000 for every win and €100,000 for every draw in the group stage. Moreover, qualification bonuses will be allotted to the teams that progress to the round of 32: the 12 group winners can anticipate earning €400,000 apiece and the runners-up €200,000. With regard to the knockout phase, sides competing in the round of 32 will collect €200,000 each, clubs in the round of 16 €350,000, the quarter-finalists €450,000 and the semi-finalists €1m. 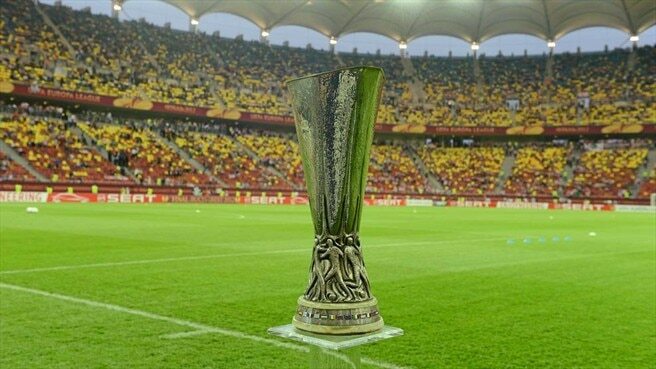 The UEFA Europa League winners will pick up €5m and the runners-up €2.5m. A team could receive, at best, €9.9m from playing in this season's competition – not counting the market pool share.